Are you looking for some new ideas to simplify your social media marketing? Do you wonder how others use social media to attract customers? We asked the pros for their hottest social media tips. Here’s their advice to help you power up your social media marketing. If you have a special offer on your website, why not use Facebook to showcase your freebie? With the new Facebook Timelines fan pages, you can no longer have a custom tab as a default landing tab, so now you will have to draw attention to your freebie with the custom tab photo and the custom tab name. HubSpot has done a great job of that with their custom tab photo advertising their free ebook and the Customer Case Studies title on one of their other apps. Notice the images on the four icons under the header image. 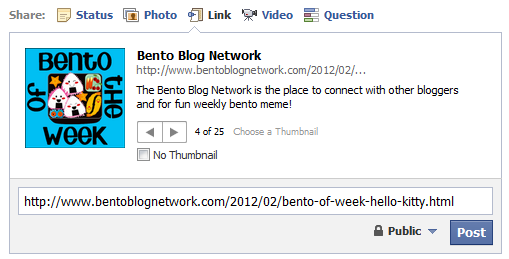 A Facebook custom tab is not hard to create with a Facebook application. You can find out about some of the best applications to create custom tabs here. Applications like Lujure and ShortStack have templates to help you easily create your Facebook custom tab with your email capture form embedded into it. You can add a video, a picture of your freebie and some text. You can also link your email opt-in code within the custom tab to get people connected to your email list, as well as connected to you on Facebook. Then once your custom tab is created, edit the custom photo and tab name by clicking on the pencil icon in the upper-left corner of the Application box and select Edit Settings. You can also advertise your special freebie using Facebook Ads, drive the ad traffic to your Facebook custom tab specifically and hopefully capture the Facebook Like as well as the email address! If you’re trying to connect with business folk, LinkedIn is clearly the social network of choice. They recently released a simple widget called the Company Follow button. This nifty little button looks a lot like a Retweet button, but instead makes it very easy for people to follow your LinkedIn company page without leaving your site. See the LinkedIn Company Follow button in our sidebar. Michael Stelzner, CEO and founder of Social Media Examiner. 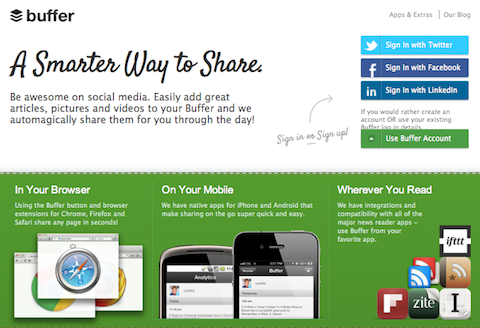 One of my favorite social media tools right now is Bufferapp, a content management system. 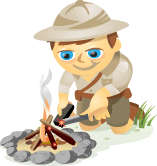 Bufferapp allows you to add content to Facebook, Twitter and LinkedIn accounts prior to their being published. Unlike HootSuite or TweetDeck, Bufferapp automatically spaces your content out for you. That way, if you post something spontaneously, your scheduled content moves around so you don’t end up spamming your followers’ feeds. Another advantage Bufferapp offers is the optional toolbar add-on that allows you to post directly from another website, similar to the Pinterest Pin button. Bufferapp is brilliant in its simplicity and is an excellent content management tool, especially for those of us who might not have time to sit down and tweet for a couple of hours each day. Check out Buffer to manage your social media marketing. 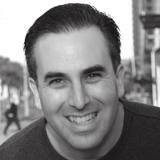 Dave Kerpen, author of Likeable Social Media and CEO and co-founder of Likeable. Many marketers feel the most powerful feature of YouTube is that it will provide free video hosting. This is as strategic as reading Social Media Examiner for the cute cartoons. YouTube’s value is that it is a very social network that wants you to interact with your audience (called subscribers). If you use YouTube for nothing other than free video hosting, you’ll never have that audience or experience the community it can bring you. How do you get subscribers? Ask anyone who views your videos to consider subscribing to your channel. They already like you, or they wouldn’t be watching your videos. Do it right in the video if it makes sense and/or do it with a YouTube annotation. Don’t know how? Click on the “Edit Annotations” button to make an annotation on any YouTube video in your account. You can link any annotation to a Subscribe link. You must be logged into your YouTube account to do this. Need more help? Below is a YouTube video that walks you through the process step by step. Paul Colligan, CEO of Colligan.com, education czar for Traffic Geyser Inc. and executive producer for eMarketingVids.com. My clients often ask me, “How many times a day should I post on Facebook?” Unfortunately, there’s not a magic number; however, research does suggest that 2-5 times per day is key. Anyone can handle this posting schedule for a week or two, but the real winners on Facebook are the companies that keep it up—every single day (or at the very least, Monday through Friday). Consistency always wins on Facebook. Because your fans visit Facebook at different times of the day, one post a day simply isn’t enough—most fans won’t even see it. Instead, post several different types of content throughout the day. These can include short videos, quick tips, links and questions, to name a few. Stagger your posts at different times to reach more fans. And never forget to include a call to action—words like click, comment, share and like will increase engagement. Plus, the more you post, the more feedback you’ll get on what kinds of posts work best, and use this information to post more of what your audience really wants. One extra tip: For maximum engagement, keep your posts around 80 characters or fewer. A study by Buddy Media showed that posts with 80 characters or fewer received 27% higher engagement rates. That’s big! 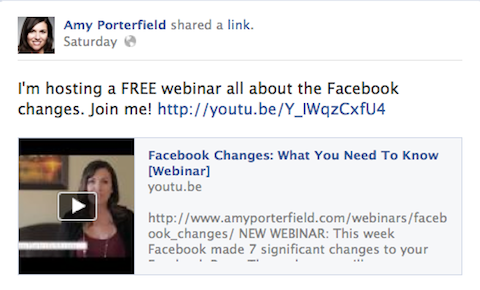 Aim to post short updates regularly on your Facebook business page. I know that sounds completely boring, but it’s true! Too many people think that social media success comes when you set up a Facebook business page. Or they expect their YouTube video to go viral or believe that one blog post will generate hundreds of leads. It doesn’t work like that. Because of the low barrier of cost to social media, everyone will have at least a Facebook page, one blog post and one video under their belts. Success comes from being consistent—consistent with your messaging, consistent across your social media outposts, and most important, consistent in delivering quality content to your audience day in and day out. Don’t flame out like a shooting star; be as reliable as the rising sun. Rich Brooks, founder and president of Flyte New Media. 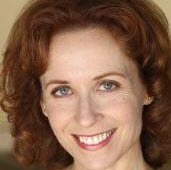 Successfully measuring your efforts will require some upfront work to make sure you can collect the data and that you have a framework for presenting the data in a way that executives care about. Take a look at your daily executive report to find the metrics that matter most and then figure out how you can collect similar data for social media. 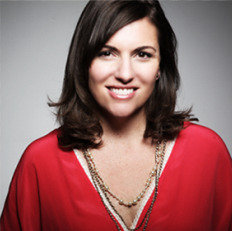 Nichole Kelly, CEO of Full Frontal ROI Consulting. Followers, Klout and Sentiment are not the end-all, be-all metrics of social media marketing success. A staggering 73% of CEOsthink that marketers lack credibility and don’t drive revenue or business demand. The best step a marketer can take in social media is not to chase the newest shiny object like Pinterest. 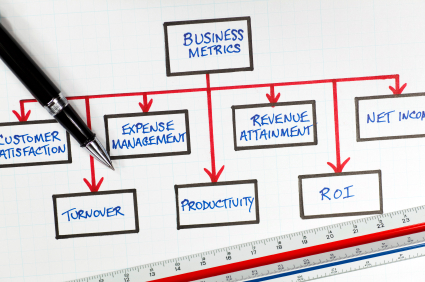 Instead, build a strategy and measurement plan to generate cold, hard cash from your marketing efforts. For B2B marketers specifically, this means having lead generation calls to action on your blog and being more conversion-focused. Use a like-to-lead gate on your Facebook page in an effort to increase your social media reach and generate leads directly from Facebook (see screen shots for example). Counting followers isn’t enough. 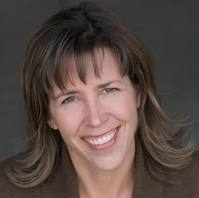 Start attributing social media marketing efforts directly to sales. 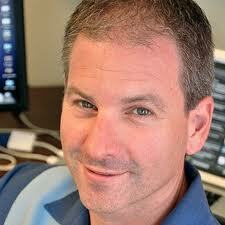 Kipp Bodnar, co-author of The B2B Social Media Book and inbound marketing strategist at HubSpot. Facebook posts will get a much better click-through rate if they include a picture. But what if the post link you are sharing fails to show a thumbnail, even if the post you’re trying to share is full of them? Use the Facebook Debugger Tool! Somehow, this handy tool clears the clutter and refreshes the page so that Facebook can grab the latest goodies. Here’s a much better technical explanation. Here's what my post was going to look like before debugging. Here's a lovely thumbnail image I got after debugging. 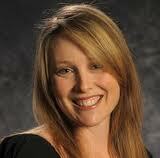 Kelly Lester, creator and CEO of Easy Lunch Boxes and the host of the musical web series, Let’s Do Lunch! To equip you with the latest strategies for marketing with Google+, blogging, Facebook, LinkedIn, YouTube, Twitter and Pinterest, the people you trust from Social Media Examiner have recruited 27 of the world’s most respected social media experts to share their newest tips and advice at Social Media Success Summit 2012. What do you think? What has worked for your business? Please share your hottest social media tips and questions in the comments box below.